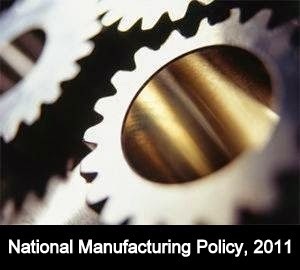 National Manufacturing Policy, 2011: The Cabinet on 25th October 2011 approved the revised proposal of the Department of Industrial Policy and Promotion, Ministry of Commerce and Industry to put in place a National Manufacturing Policy. The Cabinet in its meeting held on 15" September 2011 considered the National Manufacturing Policy and directed that the policy may be considered by a Group of Ministers (GOM) for further harmonizing the differences in some inter-ministerial positions notably relating to Ministry of Labour and Employment and the Ministry of Environment and Forests. The GOM in its meeting held on 14th October 2011 has resolved the relevant issues. A revised note incorporating the recommendations of the GOM has been approved by the Cabinet today. The major objectives of the National Manufacturing Policy are to increase the sectoral share of manufacturing in GOP to at least 25% by 2022; to increase the rate of job creation so as to create 100 million additional jobs by 2022; and to enhance global competitiveness, domestic value addition, technological depth and environmental sustainability of growth. The policy has been formulated after detailed consultations with the industry; subject matter experts; State Governments and the concerned Ministries/Departments of the Government of India. The policy envisages specific interventions broadly in the areas of industrial infrastructure development; improvement of the business environment through rationalization and simplification of business regulations; development of appropriate technologies especially green technologies for sustainable development and skill development of the younger population. The contribution of the manufacturing sector at just over 16% of India's GOP is much below its potential and a cause of concern especially in the context of other Asian countries in similar stages of development. This also has its socio-economic manifestations and prevents India from fully leveraging the opportunities of globalization. 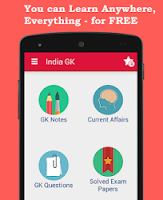 India is a young country with over 60% of its population in the working age group. With over 220 million people estimated to join the work force in the next decade, the manufacturing sector will have to create gainful employment for at least half this number. With a view to accelerating the growth of the manufacturing sector, the manufacturing policy proposes to create an enabling environment suitable for the sector to flourish in India.